Pioneers in the industry, we offer double head cutting machine and step cut fancy chain cutting machine from India. 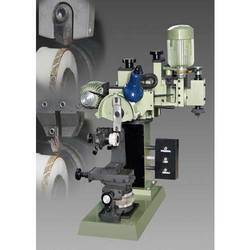 From our wide range of products, we offer optimum quality Double Head Cutting Machine. We offer this range in different sizes, designs and other related specifications, in order to meet needs of our prestigious clients. We also provide bangle attachment with various dies as per customer requirement. Apart from this, our offered head cutting machine is rigorously tested by our experts on well-defined parameters to deliver a flawlessness range at our client's end. To serve the requisite demands of our clients, we are engaged in manufacturing a qualitative range of Step Cut Fancy Chain Cutting Machine. This faceting machine is manufactured by an experienced team of professionals, with in-depth knowledge about the latest trends prevailing in the industry. 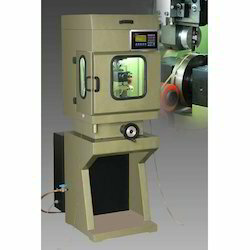 This machine is widely demanded in various overseas countries. In addition to this, clients can avail the entire range from us in diverse specifications.